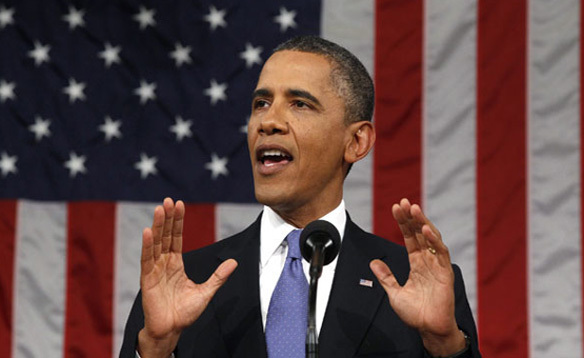 President Barack Obama is set to announce a new proposal to help cut back the national debt of the country. That proposal, which was suggested by one of the richest men ever, Warren Buffett, would be to issue a new tax on Americans who make at least one million dollars per year. Tomorrow, Obama will talk about the plan to the congressional committee that was specially organized to find at least one and a half trillion dollars to cut from the national deficit. The overall goal for the new tax would be to make sure that higher earning tax payers pay at least the same percentage as their middle class counterparts in taxes. One of the ways to do so would be to limit the amount of deductions available for the wealthiest Americans that enable them to pay a lesser percentage in taxes. Based on what we have seen when Democrats tried to eliminate the Bush era tax breaks for the wealthiest Americans, it is fair to assume that Republicans are going to do their best to keep the tax changes from taking place. At a time when change is desperately needed, the option of raising taxes on some of the nation’s wealthiest people might not seem like the fairest thing, but if it is not done, then the economy will continue to fall and before we know it, more and more of the wealthy will fall as the economy underneath them crumbles. This sounds like a good plan. Take from the people who dont have to worry about finances..